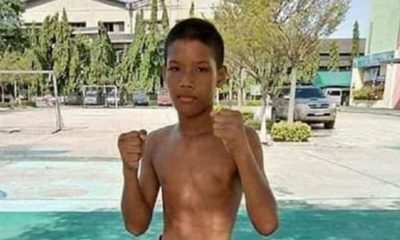 Four more boys have been rescued from a cave in Northern Thailand, bringing the total number of those freed to eight, Guardian is reporting. 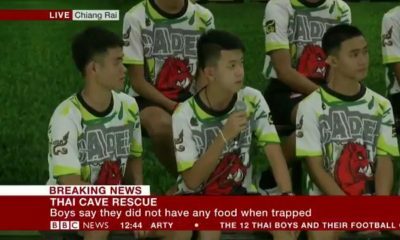 Twelve boys and their assistant coach Ekaphol Chantawong who are members of the Wild Boars football club had gone missing and were found in Tham Luang cave in Thailand’s Mae Sai. While in the cave on June 23, a heavy rainfall had poured, blocking the entrance and forcing them to go even deeper and trapping them. They were discovered on July 2 by two British divers. Four of the boys were rescued on Sunday in a dangerous operation involving them diving underwater and making a 2-mile journey. The journey saw two divers accompanying each boy, one guiding a boy through the cave in the front while carrying his oxygen tank, with the second trailing behind. The next operation will begin at 4pm local time on Tuesday with an elite team of 18 Thai and international divers with the support of 80 other rescue workers. According to Al Jazeera, FIFA has invited the boys to the World Cup final in Russia on Sunday if they make it out in time.